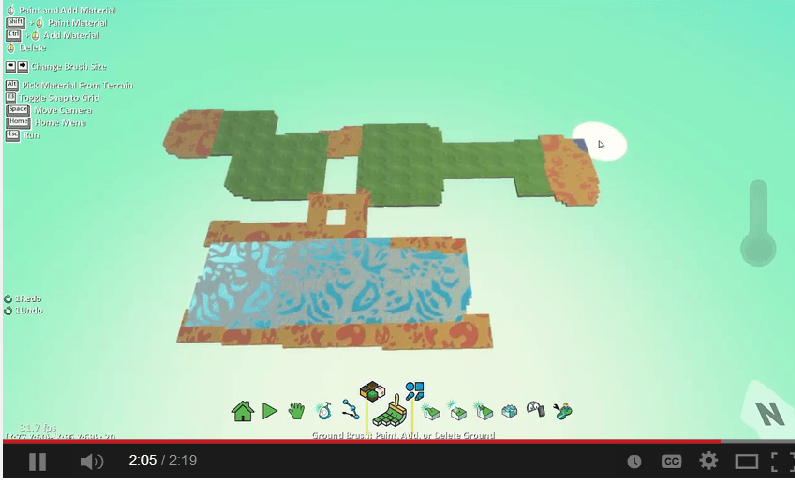 Here we continue a basic tutorial on adding ground into Kodu. We apply different materials by selecting the material and painting the ground. We have options here of just painting over existing ground, adding ground only, and removing existing ground. We also discuss using the magic brush and how to increase/decrease the brush size.